← My First Proper Rejection! Thanks to allaboutlemon and Le Artiste Boots my blog has been nominated for The Versatile Blogger award. I started blogging back in September and this is the second award I’ve been nominated for after the Liebster Blog Award. I am trying to blog about my writing, reading and throwing in some personal bits and pieces. 1. My favourite musician is his purpleness – Prince. I’ve seen him live 4 times and they are the best concerts I’ve ever seen. My iPod is full of his music and I like it that way! 2. I love watching live sport. Anything. My wife says if two people started throwing bolts into a bin on the street and they said it was the world championships, I would stop and watch it. 3. I suffer from migraines. My gravatar might look like I’m wearing sunglasses, but they are just my glasses. My life is dark! Maybe that is why my writing is too? 4. I wrote a dungeons and dragons book when I was thirteen. 5. My favourite TV programme is – The West Wing. I was late arriving at that party, it had finished before I started watching it, but I’ve seen it three times now and I LOVE IT! 6. I am a crazy, fanatical Liverpool Football Club fan. I used to be a season ticket holder, but now try and attend a couple of games a year and watch or listen to EVERY game. The best game I went to was at (the old) Wembley to watch the 1986 FA Cup final against Everton. 7. 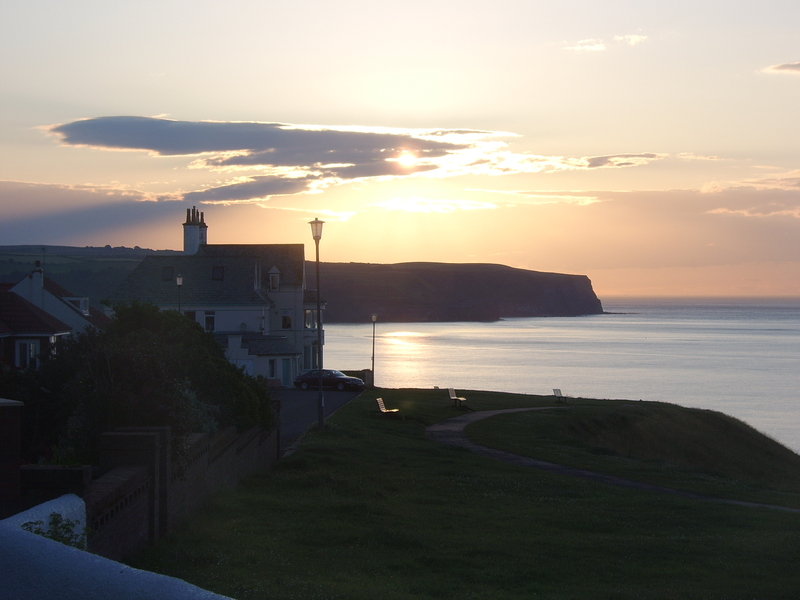 I love Whitby. We’ve rented a house overlooking the sea for the last couple of years. It is soooo relaxing to sit and watch the world go by and hear the sea lap against the rocks. The picture is from the house looking away from Whitby. #3. Pass this award along 15 or 20. I’ve chosen a variety of blogs. Some that I’ve followed for a while and others that I’ve recently come across. I hope you click a few of the links and check them out. Thanks for reading and thanks again for thinking of my little old blog. This entry was posted in Blogging Award and tagged Award, Blog, Blogger, Prince, West Wing, Whitby, WordPress. Bookmark the permalink. 18 Responses to THE VERSATILE BLOGGER AWARD! Many thanks Pete. That’s really nice and very much appreciated. I’m rather dense but I can’t actually see how/where to nominate anyone. What am I missing? Hi, David. You can copy the picture from my post. You just need to create a post on your blog and share the 7 things about yourself and pass the award onto the 15 sites you think deserve some credit and support. Let them know you’ve nominated them by commenting on their site and away we go. Thanks. Migraines are great. No wait. I can’t WAIT for my first rejection. I’ll hate my life but I’ll also know I did something right! Also, thank you very much for the like! 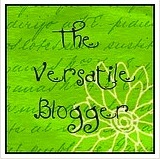 I am looking forward to reading more of your “versatile” blog! Thanks for stopping by. I haven’t printed it off yet, but I will do and keep it! Thank you very much for nominating me. Unfortunately, I can’t think of 15 to 20 blogs that I know of that fit the title of versatile. In fact, I’m only following about 10 blogs in total. Is it all right if I nominate fewer than that?